Tiger Tables 2016 is the current version -- many attractive new features since the 2013 version. Look here for details. Tiger Tables has now been updated to reflect the new tax law effective January 1, 2018. This includes the prior gift calculator, the estate tax calculator, and the net gift and net, net gift calculators. 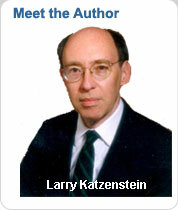 Larry Katzenstein's Tiger Tables will calculate almost any actuarial factor or estate planning technique ever likely to be needed by a tax lawyer, estate planner or accountant. Estate and gift tax calculations, GRATs and QPRTs, charitable remainder trusts (up to 10 lives) and gift annuities, and much, much more, all for only $299 for a single user copy. Tiger Tables updates interest rates and estate and gift tax credits automatically. Download the demo and see for yourself. It works just like the real thing except it only accepts a 10% section 7520 rate. You can pay for Tiger Tables with a credit card and download the program right from this site, so you could be using Tiger Tables today! You can see a complete list of factors calculated by Tiger Tables here.